Women who are looking for a more permanent solution for female pattern baldness should consider undergoing hair transplant surgery in CT. While there are several medications available to treat serious female hair loss, a lot of women are now going for follicular unit extraction (FUE) to take care of their hair problems. In fact, about 5,000 women chose to undergo surgical hair restoration in 2008, a significant 21% increase since 2000. According to the International Society for Hair Restoration Surgery (ISHRS), 21 million women in the US are suffering from hair loss. Female hair loss may start at any time but figures show that 35% of all women in their 50’s are already experiencing mild to moderate hair loss. In addition, 80% of all women will have noticeable hair loss in their 60’s. Considering the significance of a woman’s hair in relation to her femininity and beauty, noticeable hair loss can be a serious cause for concern. Female hair loss can be temporary or permanent. 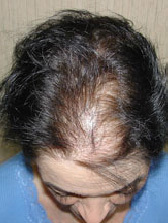 Stress, pregnancy, iron and/or folic acid deficiency, the use of certain medications and untreated hypothyroidism can cause temporary hair loss. Permanent female hair loss can be caused by autoimmune conditions such as alopecia areata and lupus, and androgenetic alopecia or diffuse thinning of the hair all over the scalp due to the overproduction of the DHT hormone. Women who are experiencing significant hair loss due to non-hormonal alopecia and those who lost their hair due to trauma, burns and scarring should seriously consider FUE hair transplant in CT. Those who are exhibiting pattern baldness similar to those typically seen in men and have ample hair in their donor area can also benefit from the procedure. Needless to say, not all women are ideal candidates for FUE. However, this does not mean that they can’t do anything about it. There are many viable solutions for your hair problems. You only need to find the best hair restoration experts to regain what you have lost. Put your hair loss problems under control by consulting the best people in the industry. Do yourself a huge favor by scheduling a free consultation with the DiStefano Hair Restoration Center today! Previous PostPrevious Great hair transplants don’t just happen. They’re crafted by a skilled surgeon.